The last day of August, the final day of Woman's Month. Today is also officially, in the Southern Hemisphere at least, the last day of Winter. 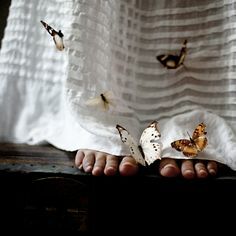 I can feel my soul pushing against the cocoon and yearning to feel the sun on its wings. But just before leaving this cocoon, maybe it is a good time to look back and reflect on this past month, and also the year so far. Most of us are so focused on today and the future that we sometimes lose sight of how far we have come. After all, every journey has a beginning, and if we never reflect on where we have started how can we judge how far we still have to go. We need yesterday as a reference, to heed the lessons learned and to make better choices for the journey ahead. We need to look back on our footsteps, to see where we have walked and if it is inline with our destination. Socrates said that "the unexamined life is not worth living." It is important to take stock of our lives, to reflect again on our dreams and accomplishments in order to know how to proceed and how to continue our journey. Reflection is important in order to determine if we are still on the path we set out to travel, or to realign ourselves with our goals. I have come up with a five part checklist for reflecting on the past. I call it "The 5 P's to move from Past to Present". 1. First of all, reflect on your "Passion". Our passions lie at the very core of our existence. It is part of our spirit's axle. It is interesting to note that the word passion has its origins in Latin from the past participle stem pati meaning "to suffer, endure," Our passions are those things we feel strongly about. We are so ardent about them that we will even be prepared to endure hardship in order to follow our passions. Very often our passions are driven by events we went through in the past. A child who saw a parent suffer from emphysema may be fanatical about launching an anti-tobacco campaign or a person confronted with domestic violence as a child may establish a shelter for abused women and children. Their past drives their passions. What is your passion? What is it that excites you? Is the path you are following in line with your passions? 2. Secondly, consider your "Purpose". Our passion gives birth to our purpose. Our live's purpose is born from that which inspires us, and our talents nurture our purpose, shape it and guide it. I need to ask myself what is it that I can do that will add value to my life, but also to the lives of others. What is it that truly makes me happy. How can my life through the driving force of my passion and the use of my talents be of service to others, to my family and my community. It is the answer to this that reveals our life's purpose. 3. Next, look at your "Physical" condition, reflect on your health, your fitness and your emotional well-being. In order to live out our passion and follow our purpose we need to be in the best shape possible for our own physical limitations. You do not have to be Miss or Mr World to follow your passion, but you need to take good care of your body. A healthy body gives rise to a healthy mind, and it impacts on our happiness. A feeling of happiness energizes us, and we are able to give so much more of ourselves to a starving world. If you find that you are out of shape, suffer from unhealthy eating habits and are feeling depressed, now is the time to do something about it. Join the gym, get sound nutritional advice and seek professional help for your depression. Of course, following our dreams and pursuing our life's purpose is a great way to prevent or even cure depression, but even people who live out their passions to the fullest can have health or mental issues. Thus it is important to regularly take stock of your physical well-being. 4. The fourth P which we have to reflect upon is "Place". Where do you find yourself? What are the circumstances surrounding you and are you in the right place to live out your passion and pursue your purpose? What position do you fill in your family and your community. We are all affected by milieu within which we exist. We are in constant interaction with our surroundings as well as the people within our circle of influence. When reflecting on our surroundings and the people we encounter we have to ask ourselves what impact we have on our community, and how can we contribute positively to the lives of others? How can I use my passion to make it a better place for myself, my family and my community? 5. As we reflect on all these things it is a good time to also reflect on the "Plan"I have had for my life thus far. Has my plan been working according to my passion and purpose? Has it helped me to pursue my dreams? What changes do I need to make to my plan in order to bring me closer to my life's purpose? What is my vision for the future and will following the same plan as yesterday bring me closer to my goal, or is it time for a change? Reflecting on the past is the best way to gain insight about what you have achieved and what areas in your life you have to work at. It provides us with the opportunity to make better choices in the future and apply the lessons we have learned. Reflect on the past, retain what is necessary and resume your journey.